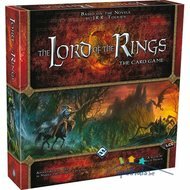 Vul je Lord of the Rings LCG aan met een van deze uitbreidingen! 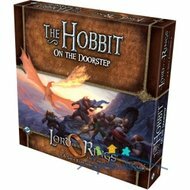 Wild men from Dunland descend on the Gap of Rohan, vicious Orcs prowl the southern spur of the Misty Mountains, and dangerous creatures lurk in the shadow of Fangorn Forest. 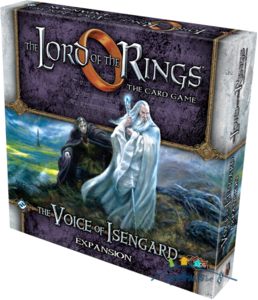 In The Voice of Isengard, players enter the service of Saruman the White to confront the dangers surrounding Isengard in three new scenarios. 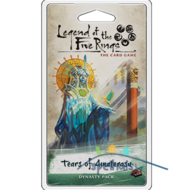 In addition to exciting encounter and quest cards, The Voice of Isengard — the third deluxe expansion for The Lord of the Rings: The Card Game and the foundation for "The Ring-maker", the fourth cycle of adventure packs — includes two new heroes and a variety of player cards that increase the customization options of The Lord of the Rings: The Card Game.